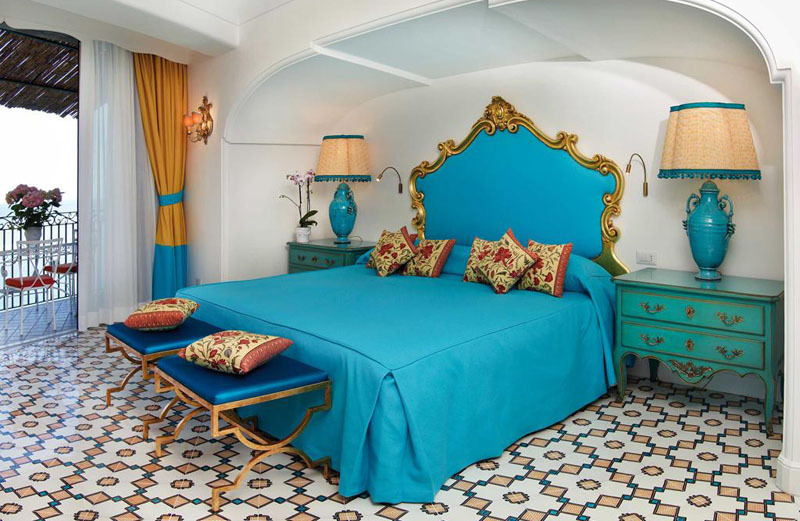 The hotel has justifiably been termed an architectural wonder as it is out of the enormous jagged cliffs that dominate the panoramic Amalfi coast. 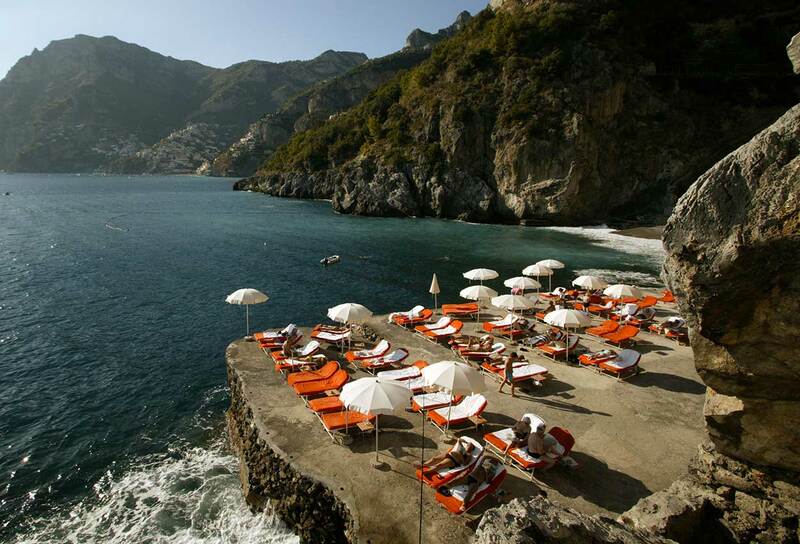 Wonderful scenery of unique beauty, the terraces offer endless views of the sea and the imposing Lattari Mountains. 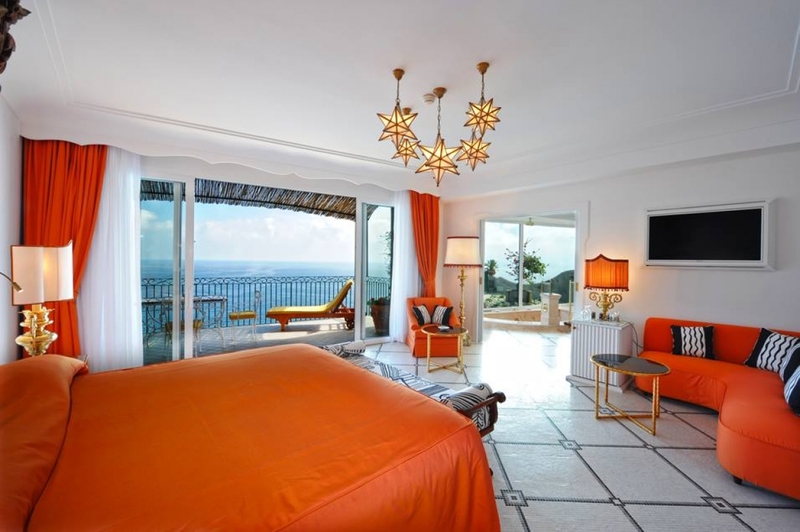 Bright, sunny and Mediterranean, they are privileged places for guests’ relaxation or cocktails. 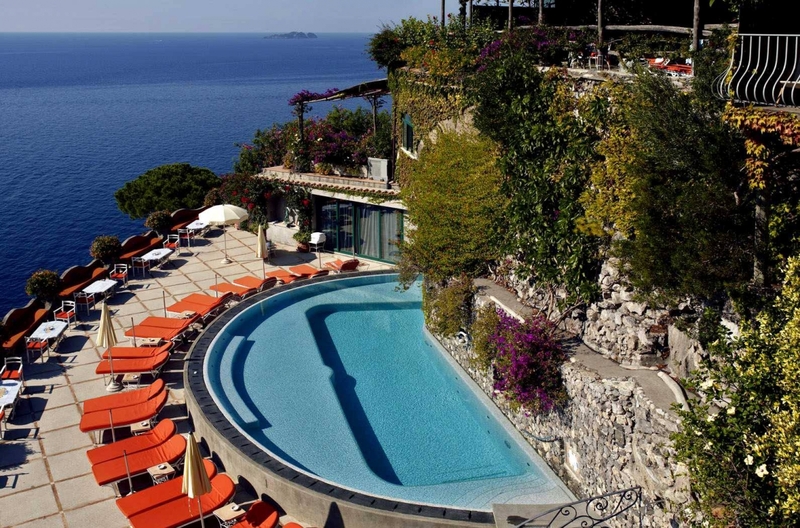 From the main terrace you can take in at a glance Praiano, Li Galli and the Coast as far as the Faraglioni Rocks of Capri. 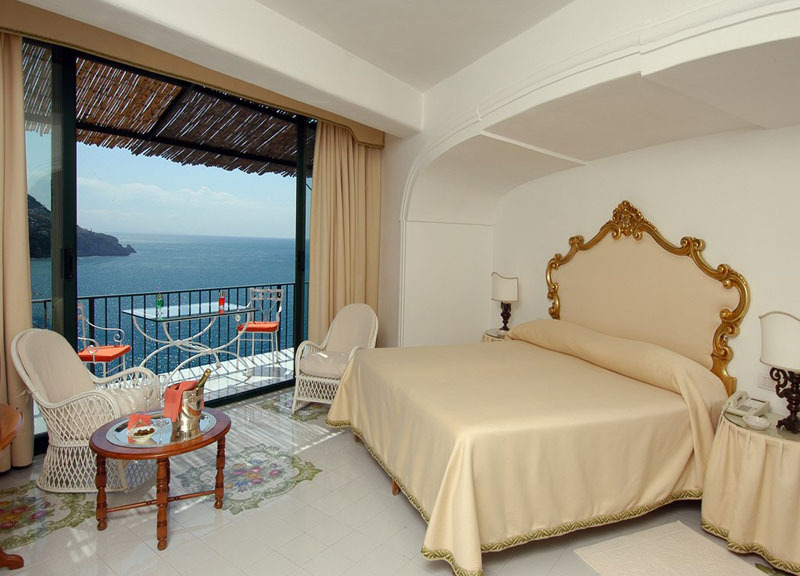 Or you can enjoy the spectacular and worldwide famous view of Positano. 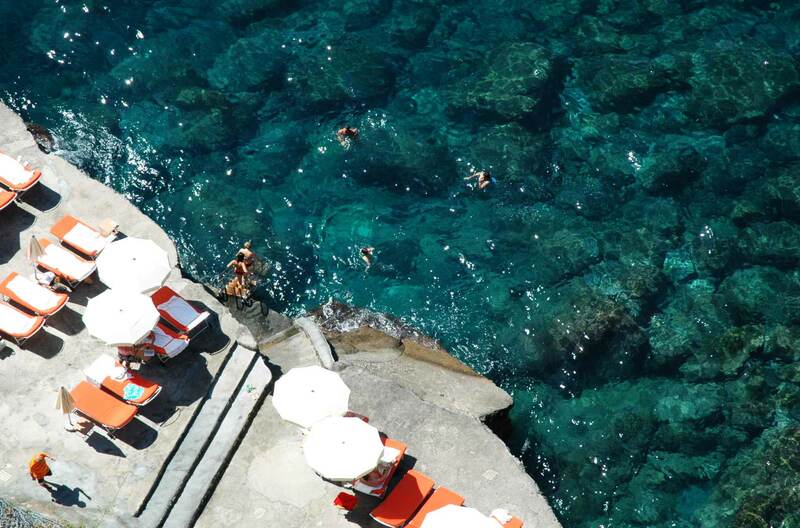 A quiet natural cove with crystal waters: the private beach, with an area for hotel guests only, is a corner of paradise for those who love the sea. Sunbathing on the platform, drinking a cocktail at the bar or going for a stroll on the sand, it offers you absolute relaxation and an excellent privacy. 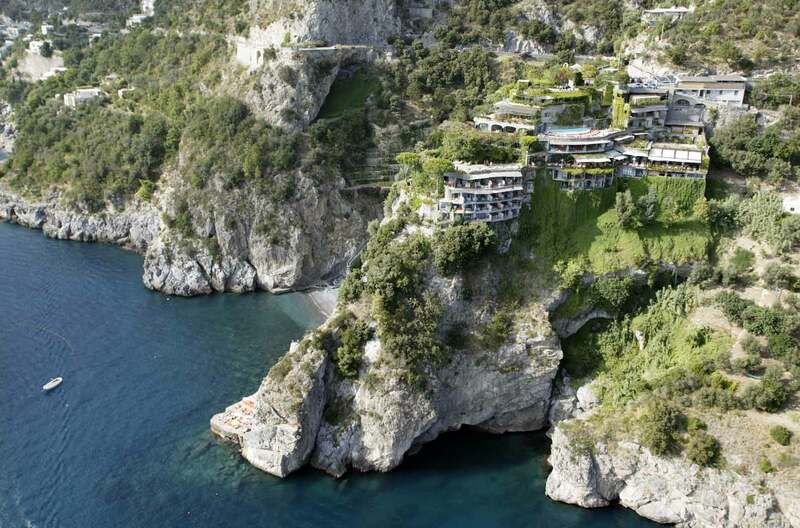 The way to get there is oustanding: a lift carved in the rock that takes you from the lobby to the sea in a few seconds. The scents and colours of flowers surprise from the moment you arrive. They are everywhere with a fascinating fragrance and beauty. Ideal harmonies of Tropical and Mediterranean, the gardens create a refined delicate atmosphere. 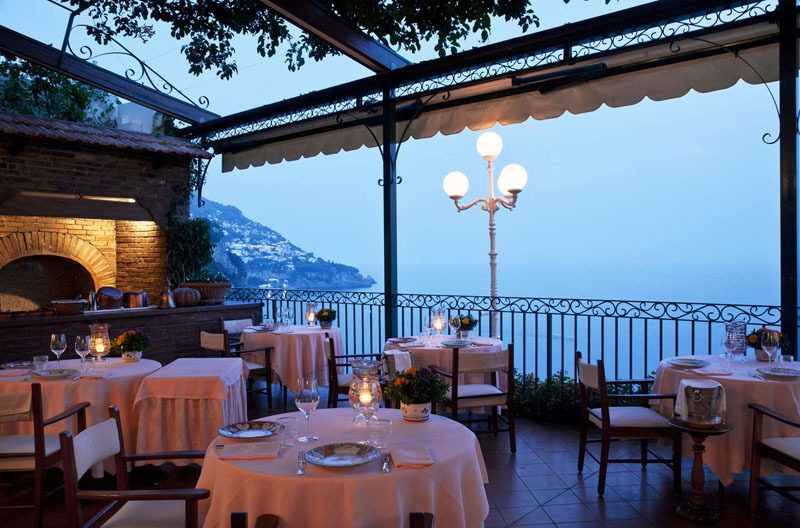 The Restaurant, recently awarded a Michelin Star, combines devotion to traditional Italian cuisine together with haute cuisine dishes. The food is prepared and cooked to perfection. The season menu is supplemented by a list of Chef’s daily suggestions. 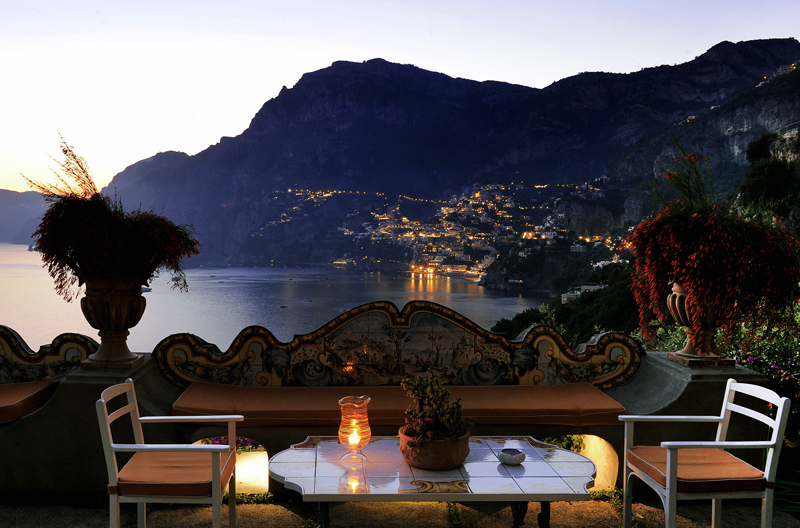 The view is superb and, in the evening, there is a candlelight romantic atmosphere.